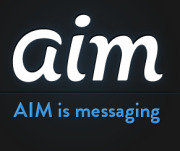 AOL hopes to roll out a fix soon to a spam surge in its AIM service targeting Google IM users, a situation that prompted Google to temporarily shut down the interoperability between the two instant messaging networks. Google suspended the IM federation between its IM network and AIM about a week and a half ago in order to shield Gmail Chat and Google Talk users from the high level of AIM spam. "Our backend servers were sending too many spam messages to Google federation gateways," said Christian Crumlish, senior director of messaging products at AOL. AOL has been working intensely on the problem and expects to roll out a fix maybe as soon as Thursday. "It's a serious enough problem that we had to pull a number of people off of what they were working on," he said. Once the problem is fixed and the interoperability restored, Google and AIM users will again be able to engage in IM sessions, each communicating from their respective networks. Without the IM federation of the two networks, people would need to have separate accounts for both services, using the Google account to communicate with users on Google's network and the AIM account for communicating with users on the AIM network.